If you’ve been diagnosed with either type 1 or type 2 diabetes, then know that testing blood glucose levels is one of the most important components of diabetes care. Knowing your blood glucose levels can help you understand how your body is reacting to decisions you make throughout the day, like certain types of food you eat or exercise. Blood glucose readings also help you understand how well you’re responding to your treatment and how successfully you’re able to keep blood glucose levels within range. In fact, it is estimated that roughly 10 percent of adults have a fear of needles. Insulin pumps provide a great alternative to multiple daily needle injections for people with diabetes. 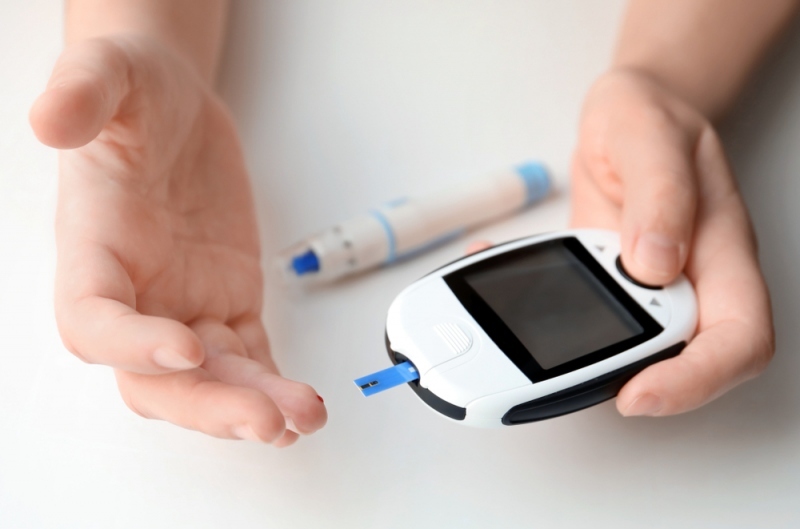 However, insulin pumps do not eliminate the need for blood glucose testing. Individuals who have a fear of needles may find blood glucose testing very difficult to perform and can experience a lot of emotional stress. Fear of needles can even cause some people to forego glucose monitoring altogether, which places them at an increased risk of uncontrolled blood glucose levels and therefore other chronic health conditions associated with poorly managed diabetes, like cardiovascular disease and kidney disease. Researchers and technology developers are exploring alternatives to finger stick blood glucose monitoring, such as a continuous glucose monitor. A continuous glucose monitor (CGM) is a small device that takes numerous blood glucose readings without the need for a finger stick. These devices can be connected to your touchscreen insulin pump, allowing the CGM to periodically sync your readings and make overall usability easier. There are new continuous glucose monitoring devices that eliminate the need for finger sticks and provide up 288 glucose readings a day which can be used to improve your diabetes management care. Use the side of the fingertip instead of the very tip of the finger: The side of the fingertip is less painful than the literal tip of the finger. Adjust the depth of the lancet: One reason that finger sticks may be painful is that the lancet on the testing device is set too deep. Remind yourself why you need to know your blood glucose levels: Knowing your blood glucose levels helps you successfully manage your diabetes diagnosis and improve your overall health. If you have a difficult time completing blood glucose readings due to a fear of needles, talk to your doctor. They may recommend a mental health professional to help you confront and overcome this fear. It’s important to know your blood glucose levels in order to prevent or slow the progression of diabetes and to prevent or delay chronic health conditions associated with the condition.